As we move into the 21st Century, the once backyard shed is replaced by the modern day garage. Garage Storage Solutions Australia have recognised a need for storage solutions that maximise your storage and living space. 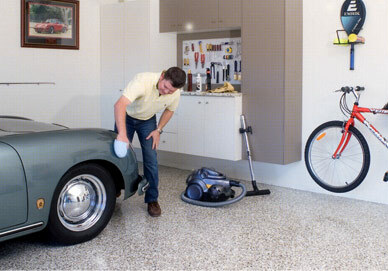 Transform your garage with customised cabinets, state-of-the-art flooring, and unique storage accessories. Whether you're looking to turn your garage into a workshop, reorganise or simply need more space, then Garage Storage Solutions Australia has the answer. Garage Storage Solutions Australia prides itself on providing only the highest quality products and workmanship to ensure complete customer satisfaction.